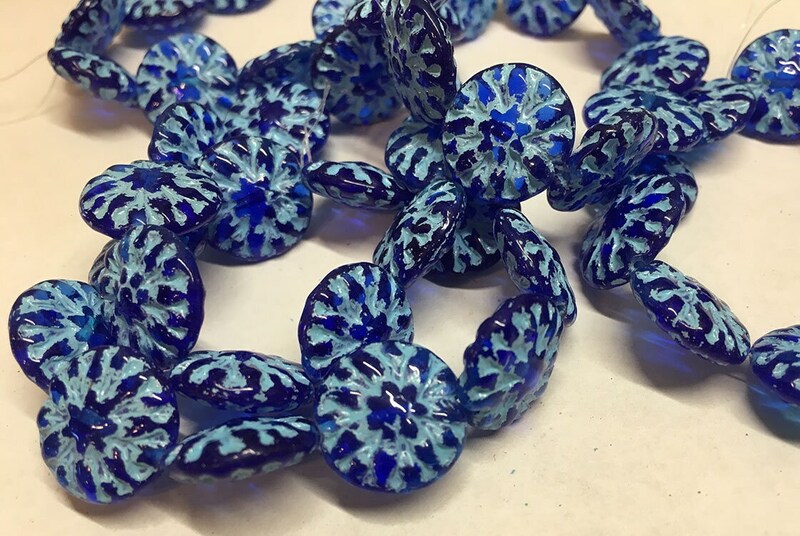 Mix of transparent sapphire and aqua glass with turquoise wash Czech pressed glass 14mm dahlia flower beads. 10 beads per strand. These beads are really pretty. Nice size; nice color.